The Nations bar in West Nashville is just the kind of place you’d expect to find songwriter. A former auto repair shop, it’s an unassuming yet perfect spot to meet a character with a story to tell. While a dozen or so blue-collar patrons lean over their longnecks, Texas singer-songwriter Bruce Robison kicks back with a Yuengling. Respected in Nashville and revered in Texas, Robison’s songs have been recorded by some of the biggest names in country music – including George Strait (“Desperately” and “Wrapped”), Tim McGraw (“Angry All the Time”) and the Dixie Chicks (“Travelin’ Soldier”). This afternoon, Robison is relaxing in a shaded corner on the bar’s outdoor deck. 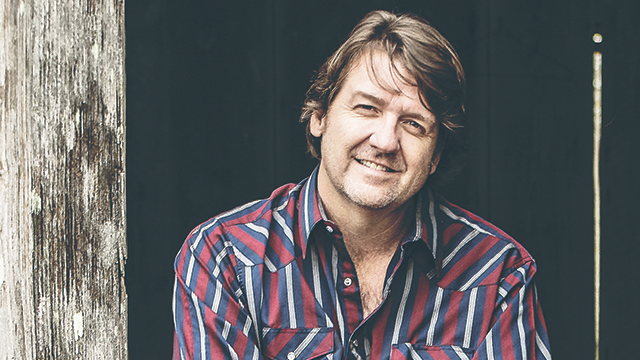 It’s an ideal setting to talk about his new album, “Bruce Robison & the Back Porch Band." “It is like being on the back porch,” Robison says of the record’s stripped-down production that harkens back to simpler times. The album, his first in ten years, is a collection of original songs and covers with contributions from a slew of Texas talent. Longtime friend Jack Ingram co-wrote and makes an appearance on the rowdy “Paying My Dues.” Robison’s wife, Kelly Willis, adds harmony to a cover of the Who’s “Squeezebox.” Micky Braun of Micky and the Motorcars co-wrote two tracks, including the plaintive “Long Time Comin’.” Robison also covers “The Years,” a romantic ballad written by Austin-based songwriter Damon Bramblett. Combined, the nine tracks offer fans lyrics to contemplate and rhythms to dance to – a juxtaposition of emotions Robison enjoys. One of those filled-in holes is a cover of the George Jones hit, “Still Doin’ Time (In a Honky Tonk Prison)” but it would never have been recorded without country star, Clint Black. “I reached out to Clint Black and we were tweeting back and forth,” explains Robison, “and I said, ‘We’re in the studio tomorrow, make a request.’ And so he requested that song. Recorded in his analog studio (“everything in there is from 1972”) the album feels intimate and inviting. Without the audible distractions of a live audience or noisy bar in the background, Robison has captured the raw magic of playing live with his friends. 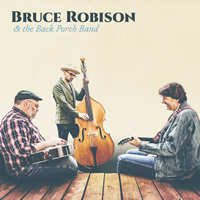 "Bruce Robison & the Back Porch Band" is available now.